While browsing online I found three of the cutest dresses. Perfect for the long summerdays! Like this one from Miss Selfridge. 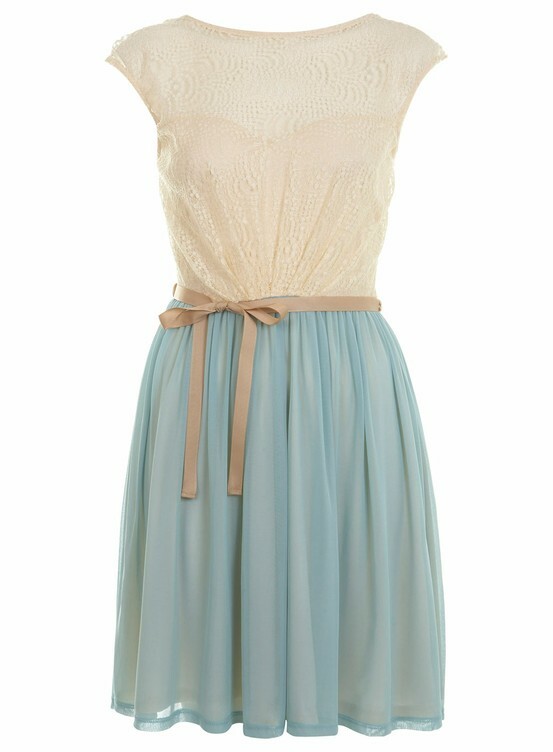 I love the cute lace top and the babyblue skirt (and it's a dress!). Modcloth always creates the most beautiful dresses. 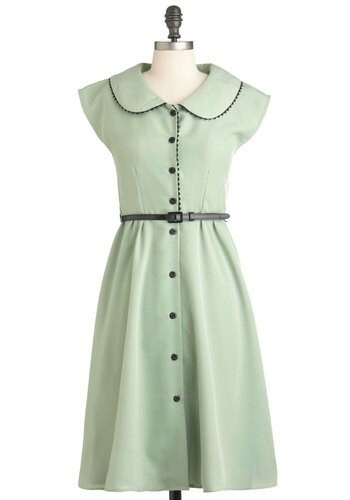 I love this one, with the cute collar and soft colour. As most of you already know I love coral! 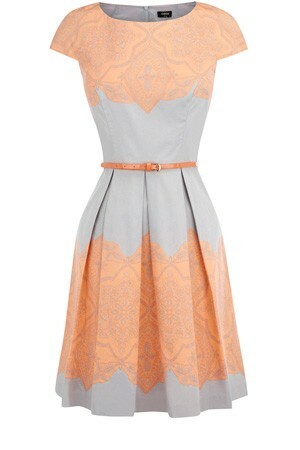 And this mix with grey is just perfect and the little belt finishes the look so nicely. Dress is from Oasis. Oh moneytree where art thou?? I don't see you in my backyard! Do you, my dear readers, have a favourite summerdress? And where did you buy it? If you want to join the link up with Current Crush Thursday: please click on this link. I love that first dress! They're all lovely really. Love the 2 dress. Very vintage feel. Thanks for linking up. Love love love the Modcloth dress. Off to Google it! that first dress is so adorable! be still my heart.